Thinking back to the early days of our planning, we always wanted to be home again for Christmas and celebrate with our beloved ones. Now, exactly 330 days later finally sitting here and seeing everyone, doesn’t only feel hugely satisfying, but still also feels a little bit unreal. Quite a lot has happened since then and leaving Iceland just some days ago, our whole body and mind is still in some kind of travel mode. A new state, we still have to slowly adapt to (even if we are already enjoying back home again)! Speaking about our last days in Iceland, we honestly couldn’t think of a better ending for our one year trip around the world. From unique landscapes, rapid weather changes, to also experience some Northern Lights first hand. So while just having a quick stop over and only five days on the southern part of the island, we definitely had a unique and exciting road trip! 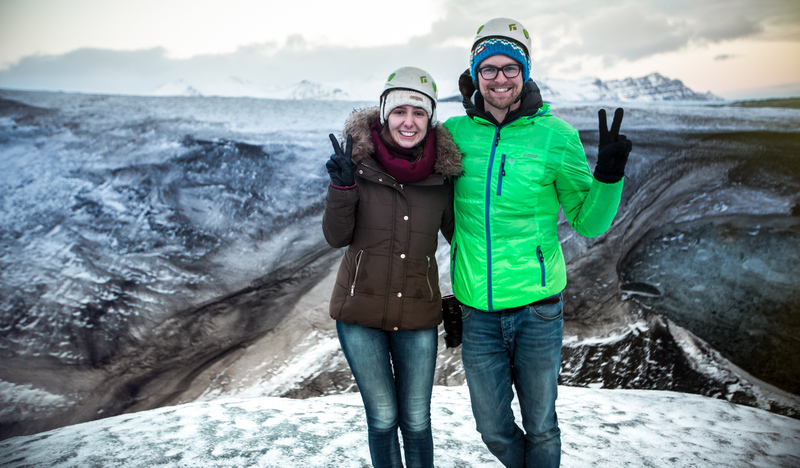 Iceland – we will definitely be back for you! Now being home again, we still don’t really want to end this whole journey so abruptly yet. From some unfinished photos/videos, to the one or the other still running collaboration. We will now use the upcoming days to not only complete everything unfinished, but also to slowly settle back home with our families and friends again! To begin this process of finalization, we start an amazing collaboration with STA Travel (website) tomorrow. For one week, we will not only take over their German/Austrian Instagram channel, but also take you on a one week (summary) journey about our trip around the world with them. From daily photos, stories, to also some live coverage! Feel free to stop by, ask whatever comes to your mind and get a good taste of our last year and all countries we travelled to. Sounds pretty exciting, right 🙂 ? Will keep you posted about every update and the final steps of our journey. Looking forward to see you online! Till then, Merry Christmas and we hope everyone is enjoying the holidays as much as we do right now!